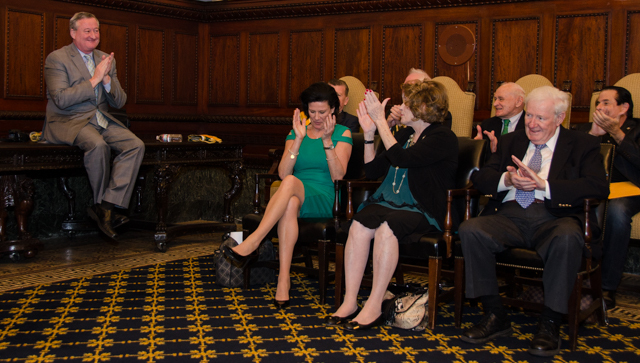 Philadelphia Mayor Jim Kenney recalled the first time he ever met Paul Doris. 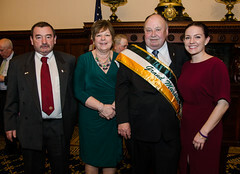 Doris, who was born in County Tyrone and came to the US in 1974, drove Kenney and then Mayor Ed Rendell to the Philadelphia airport to meet Sinn Fein’s Gerry Adams, who had finally gotten a visa to come to the United States. 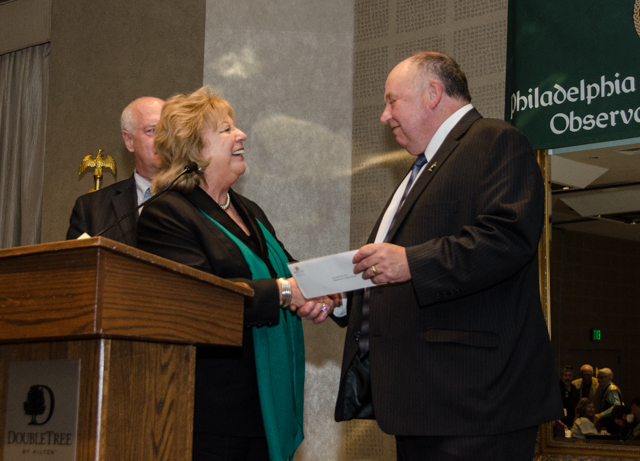 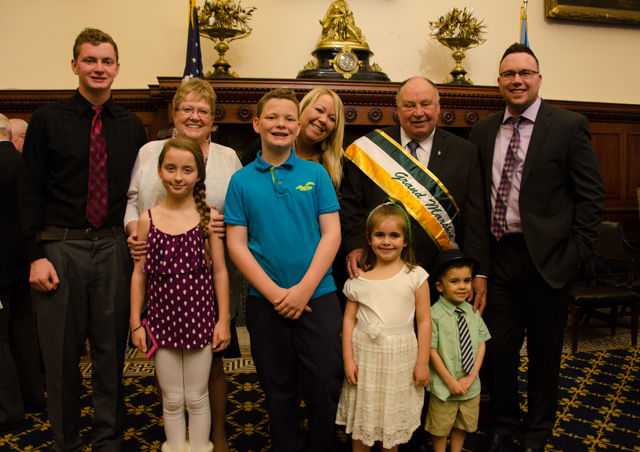 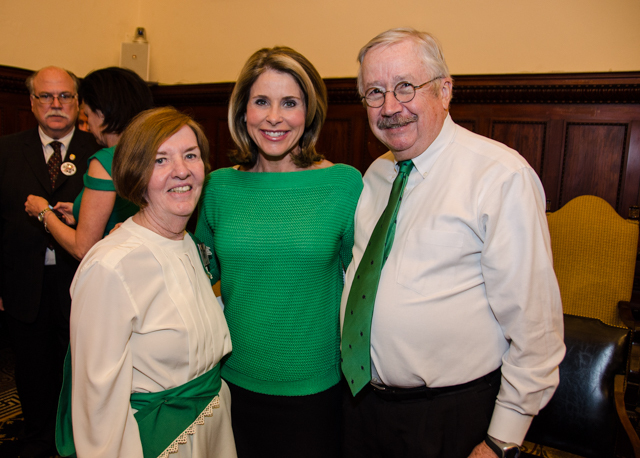 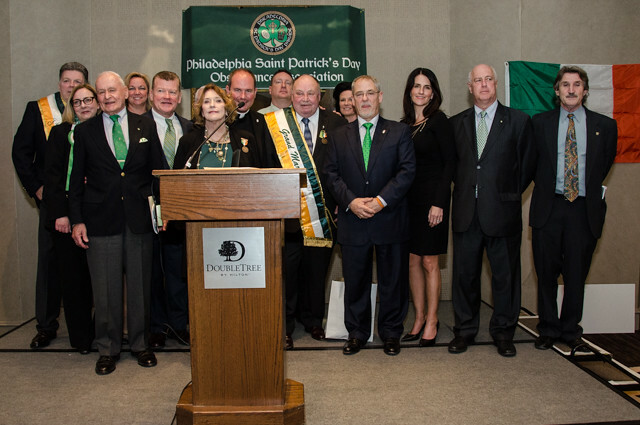 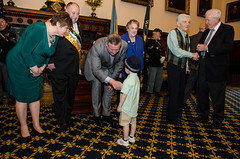 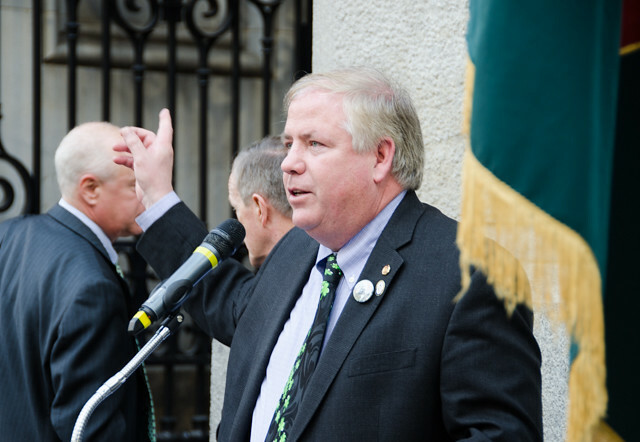 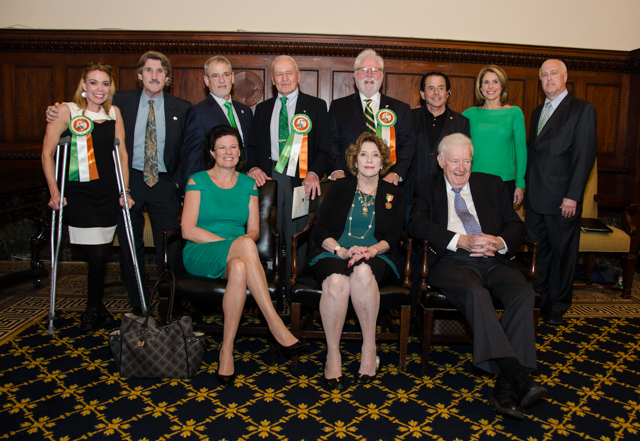 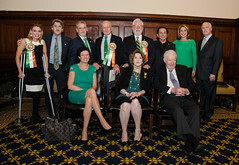 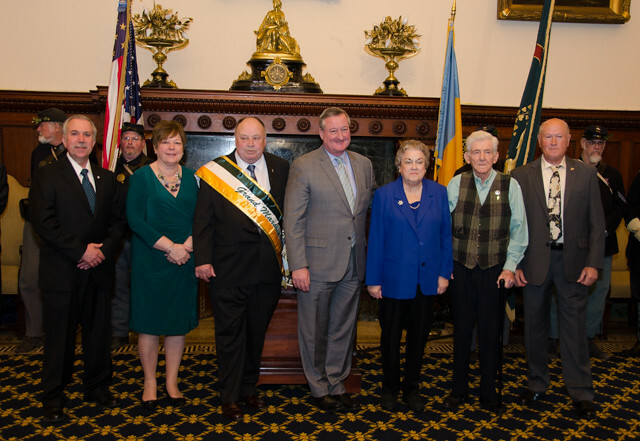 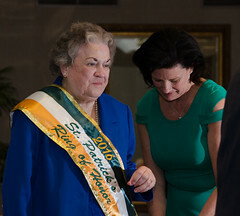 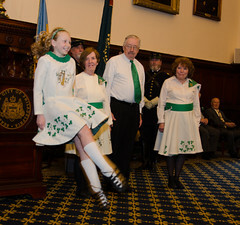 On the way in Doris’s station wagon, said Mayor Kenney at Thursday’s pre-St. Patrick’s Day Parade ceremonies at City Hall, he and Doris gave Mayor Rendell a short course in Irish politics before he met the famed Northern Irish politician. 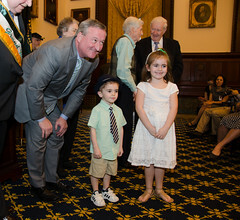 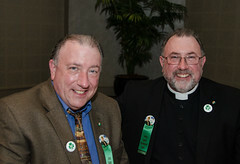 “Not being Irish, he really didn’t know much,” said Kenney. 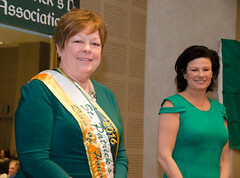 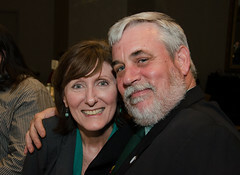 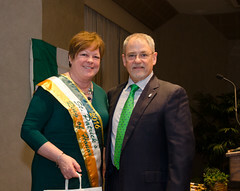 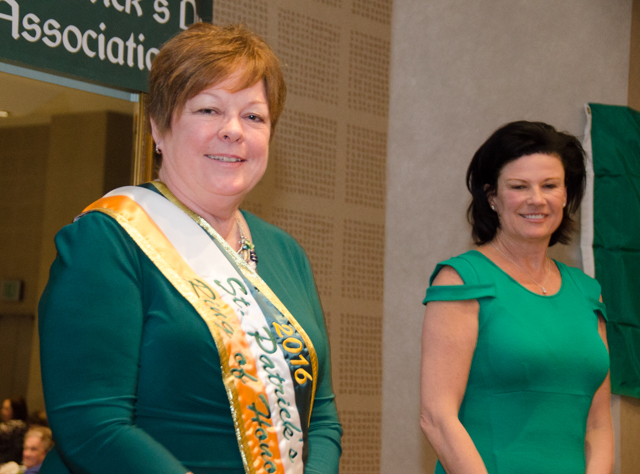 So when Kenney hugged Doris, this year’s parade grand marshal, it was the real deal–two old friends, in different places in their lives, meeting up again and bonding over Irish things. Kenney used the moment to draw a parallel between the antipathy towards the immigrants of today and the Irish immigrants who came to the city in droves, fleeing starvation and oppression in their native land. 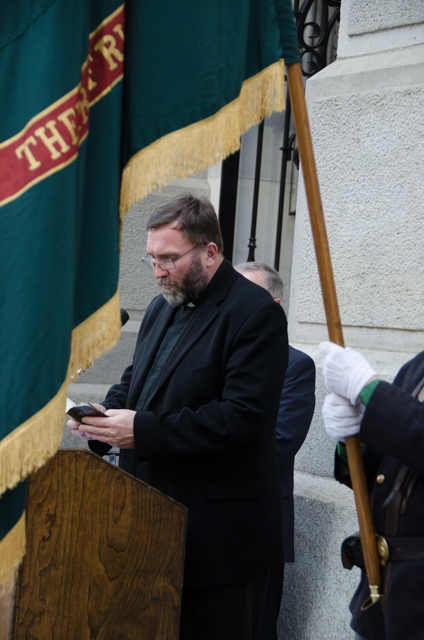 “As we debate this issue, let’s remember 1844 when a group called the ‘know nothings,’ or nativists” burned down two Catholic Churches and took part in a “pitched battle” with troops at another because of anti-Catholic and anti-Irish sentiment. 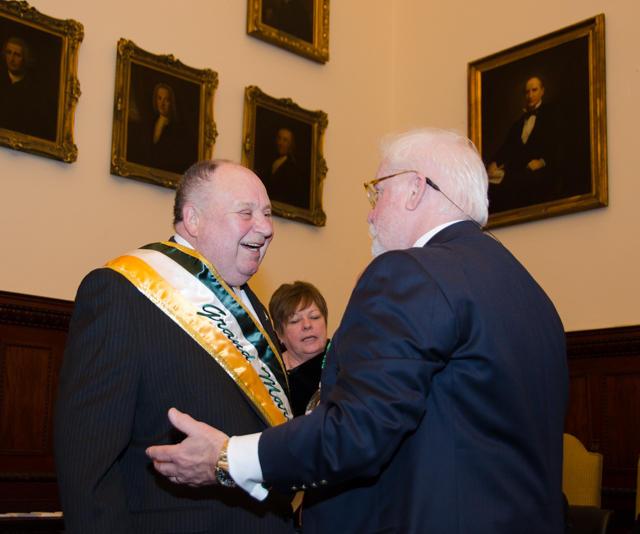 That bigotry was “directed to us very vigorously and violently,” said the mayor, the first Irish mayor in this very Irish city in 20 years. 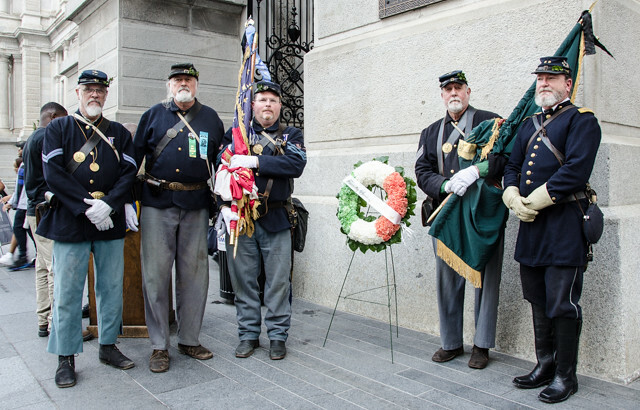 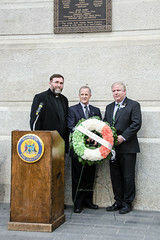 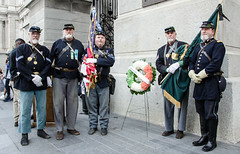 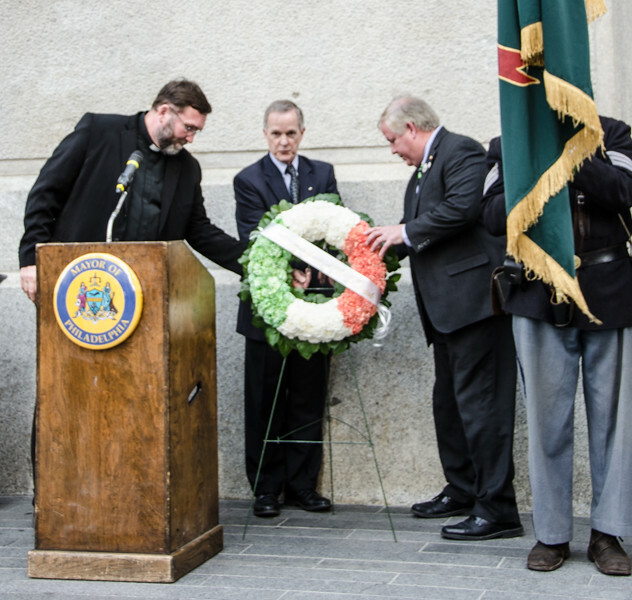 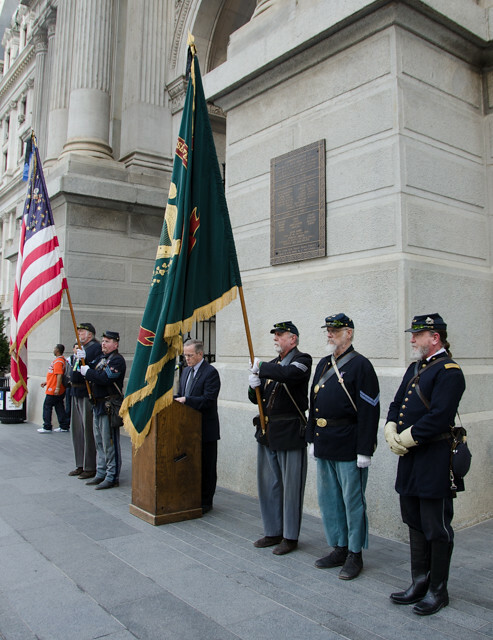 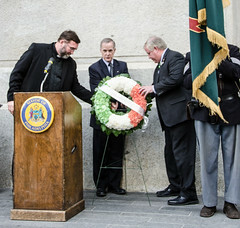 The ceremonies began with the annual wreath-laying by the Friendly Sons of St. Patrick, the oldest Irish organization in the US, at the plaque on the west side of City Hall that honors those Irish who fought in the Revolutionary War. 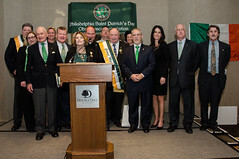 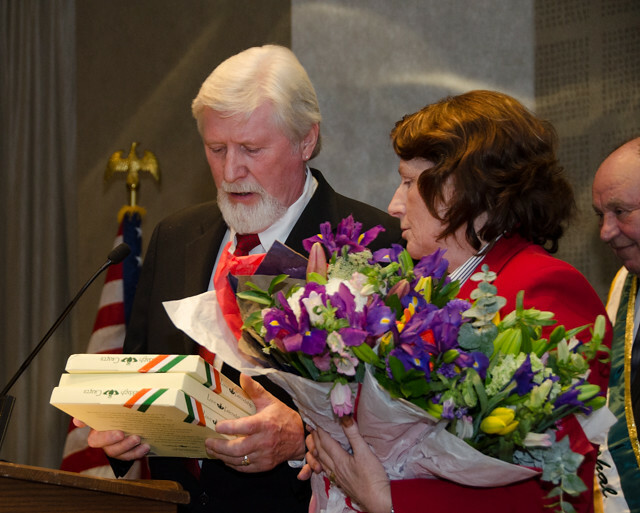 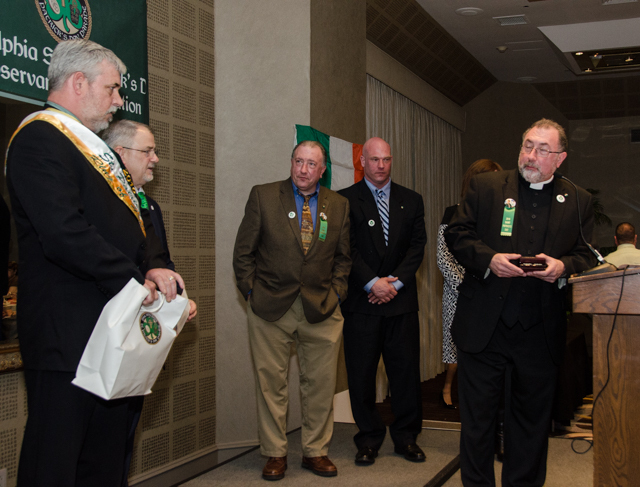 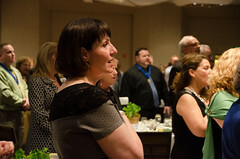 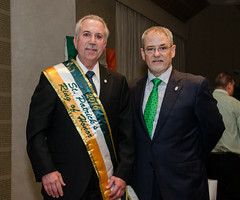 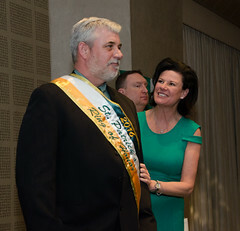 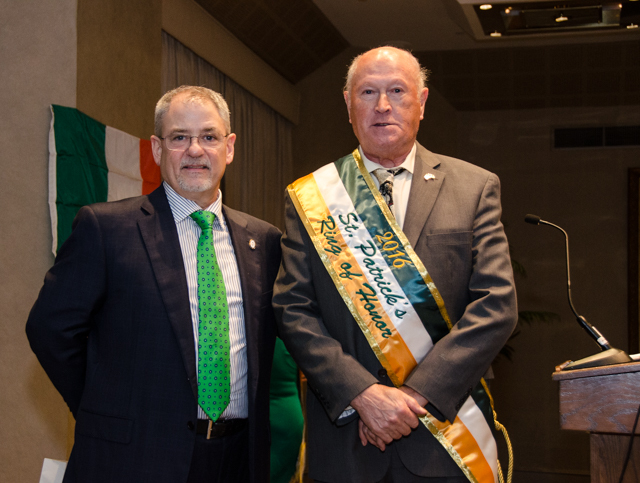 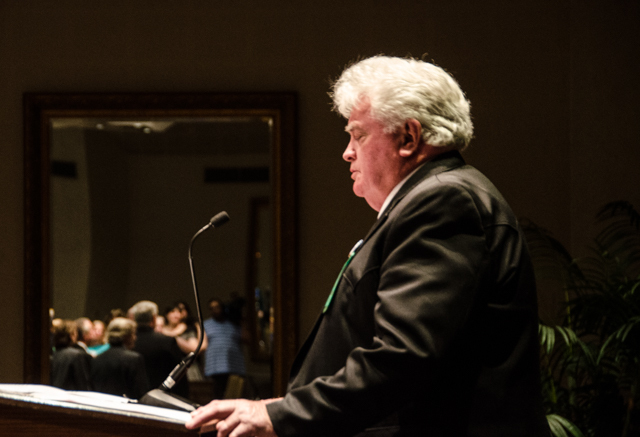 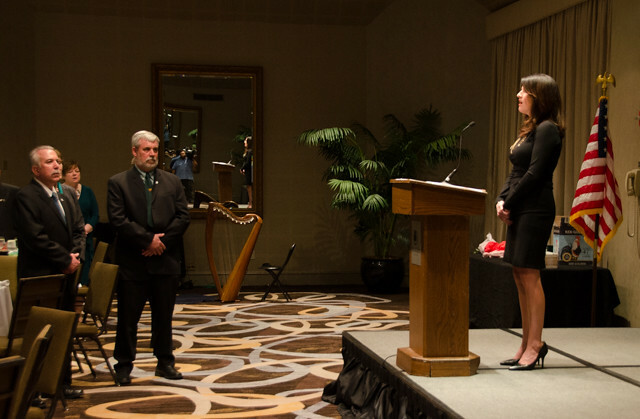 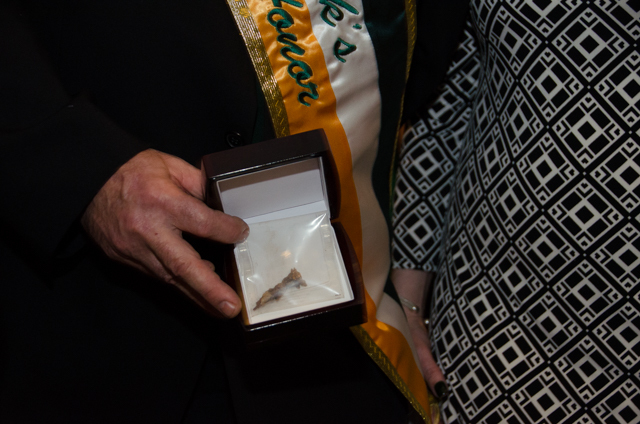 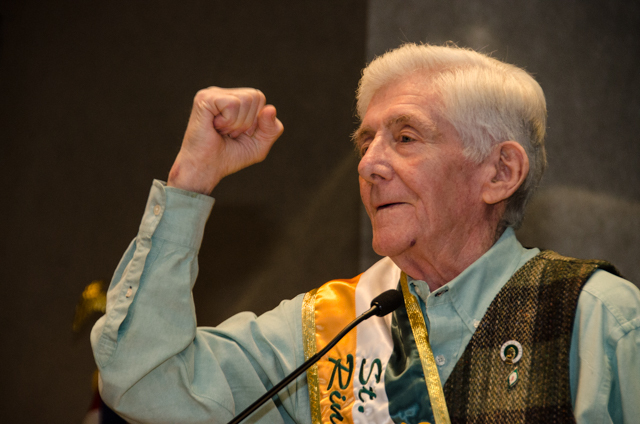 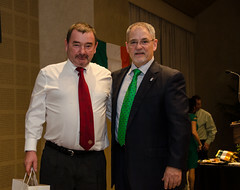 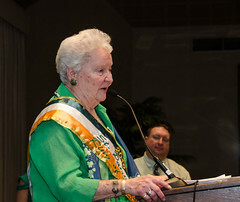 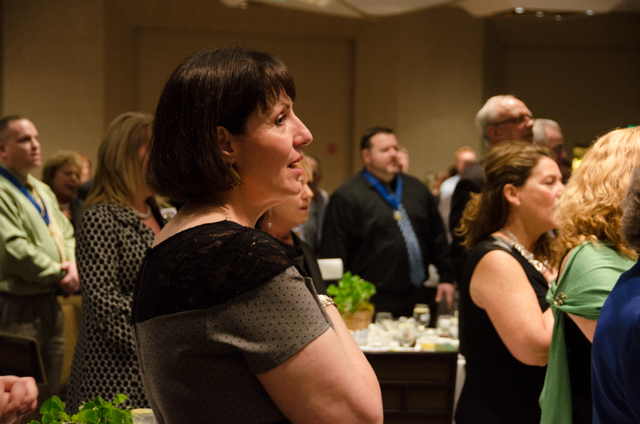 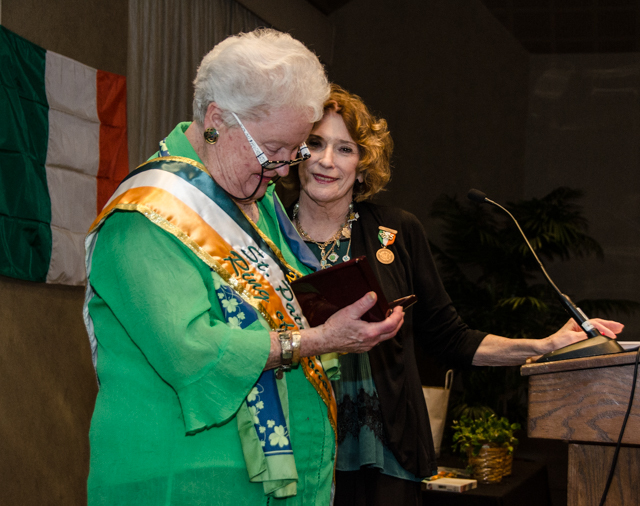 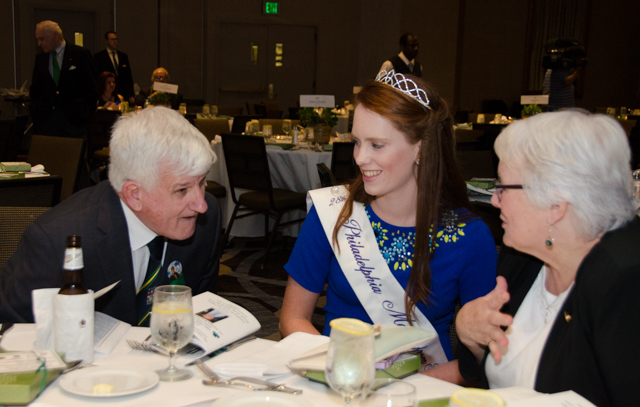 It ended with a gala dinner at the Doubletree Hotel on Broad Street, where Doris and his Ring of Honor–all local people who have dedicated their lives to bringing the dream of a united Ireland to fruition–were sashed. 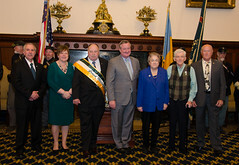 They will be marching at the head of the parade on Sunday. 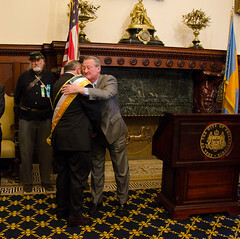 Photos below tell the whole story.